High Availability (HA), Fault Tolerance (FT), and Horizontal Scale Friendly (HSF) are as equally important as to functionality for web applications to run and succeed today. High Availability (HA), Fault Tolerance (FT), and Horizontal Scale Friendly (HSF) are as equally important as to functionality for web applications to run and succeed today. Existing or new web applications shall be designed and provisioned with such architecture underlying. Fortunately, you can easily and promptly deploy mentioned architecture in the Cloud era today (compared to the on-premises bare-metal machine era)! However, this flexibility comes with a caveat – how to choose the right cloud provider? We are spoiled with choice when it comes to choosing cloud providers and it can be really challenging (and hectic!) when evaluating and choosing the right one. This post is intended to discuss and provide a walkthrough on deploying web applications on Alibaba Cloud from the ground up, including HA, FT, and HSF. There is no intention to discuss on requirement analysis and capacity planning on particular specific domain (I’m a newbie to Alibaba Cloud). Anyway, throughout this post, I will briefly introduce several services & tools provided in Alibaba Cloud. Yes, briefly! If you wish to learn more on particular services or tools, please visit the Documentation Center. In addition, the post would also highlight the concerns and considerations when deploying such services. 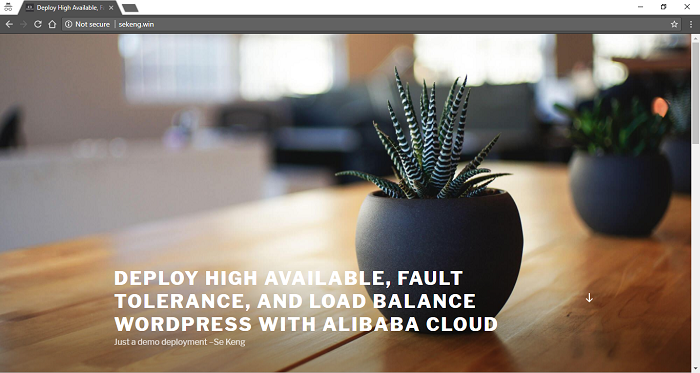 WordPress is used as the demo web application that would be deployed on Alibaba Cloud in this post. The same deploying principle shall apply to many other web applications. This post is not intended to discuss on WordPress configuration at all. It shall not (and not able to) serves as reference for WordPress configuration. There are tons and tons of good resources out there regarding best practices on WordPress administrative. Like many other web applications, the demo web application consists of application layer (WordPress) and DB layer (MySQL). One sites: Single main site. Minimum two physically separate running WordPress instances on each site for redundancy and load balance purpose. Auto spawning on WordPress instance when existing instance stopped/failure. The DB instance (MySQL) must also be running in redundancy mode. Automatic failover to active standby instance when necessary. Centralized dataspace. 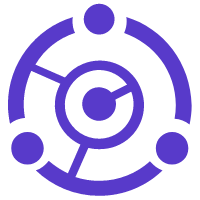 Shared resource must be accessible and available to all running WordPress instances. For e.g. document uploaded by a user via WordPress should be synced across all running WordPress instances. 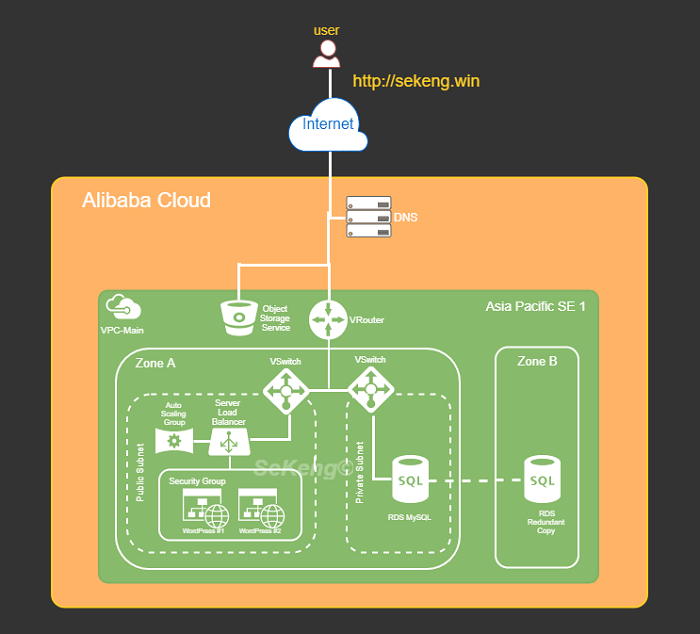 The workflow below despites the general steps involved in deploying web application on Alibaba Cloud. 1. The mother of all considerations – COST. Yes, the cost may vary according region. 2. Service availability in the region? It’s not uncommon that some regions provide additional services that not available in other region, you have to test to find out! 3. Main target users’ geographical location. It’s definitely better user experience if deployed application is physically closer (shorter latency!) to customer. 4. Rules & Regulation. Is legally OK for the application hosting and running in the selected region? 5. Number of Availability Zone. Occasionally, we need to improve application availability by deploying redundant application at different Zone. Since I’m based in Southeast Asia, I will be looking at the Singapore and Kuala Lumpur data centers. At the time of writing, “Asia Pacific SE 3 (Kuala Lumpur)” has only single Zone while “Asia Pacific SE 1 (Singapore)” has dual zone. Conclusion: After consideration, we’ve decided “Asia Pacific SE 1 (Singapore)” as the main region for our demo deployment. 1. Bigger CIDR block may increase the complexity when dealing with IP related configuration such as subnet creation, route configuration, security group configuration, and etc. 2. If the above not a valid show-stopper for you, then consider this: “VPC peering (interconnect)” with other VPC doesn’t allow overlapping CIDR block. In other words, it’s not possible to peer with other VPC once you using 10.0.0.0/8 as CIDR block! Conclusion: After consideration, we’d use “192.168.0.0/16” for our demo deployment as there would only be few running nodes within VPC. 1. Logical grouping of instance according to the functionality. E.g. grouping application in one group and RDS in another group for easier maintainability. For e.g. disable group of instances by deleting VSwitch attaching to such group. 2. Simplify security group profile configuration. Security rule based on subnet CIDR block level rather than individual instance’s IP is cleaner. 3. Enable Auto scaling and Server Load Balancer monitoring and actions on specific subnet. 4. Redundancy on resources. It’s possible to seamlessly failover to different subnet that based on different Zone when the existing subnet’s zone is encounters failure. Conclusion: After consideration, we’d logical grouping ‘WordPress’ in one subnet (192.168.1.0/24) and RDS instance in another subnet (192.168.2.0/24). 1. Always comply with least privilege practice. Restrict access to required client only. 2. Intranet or/and internet connectivity. Security group is possible to use for create “private subnet” (no internet usage) by only allowing access for inbound intranet. In addition, NAT gateway could be used to allow instance in such private network to access outbound internet services. Conclusion: Since we are running WordPress on Linux instances, we would at least allow inbound rule for Port 80 (HTTP) and 22 (SSH) in Security Group. Besides that, all outbound traffics would be allowed since no specific requirement on that. 1. Always start with ‘Pay-As-You-Go’ model if you have no idea on the instance type performance nor the actual capacity requirement. This pricing model allows you to experiment with different instance types freely without a lock-in period. 2. You have to understand the nature of the to-be deployed application’s constraint. Is the application subjects by CPU-bound or IO-bound? You have to answer that in order to determine a proper instance type with great cost efficiency. 3. Deploy with one step down instance whenever possible. If an application capacity requirement could be satisfied with a ‘X’ instance of a instance family type Y, it might be better if we deploy the application with two one step down instances (e.g. X/2) from the same family type for the same amount of workload. 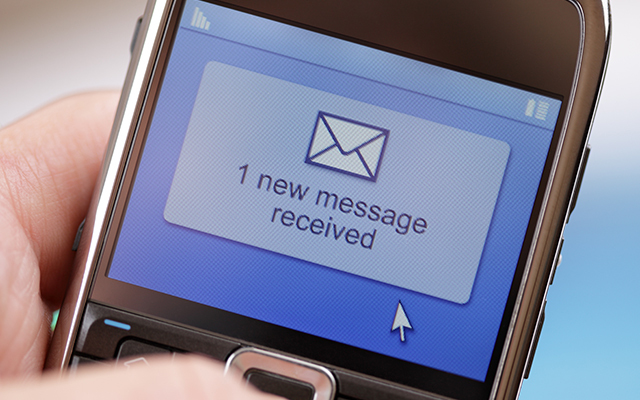 This will increase the availability of such application. For example, we can still process 50% of workload if any the X/2 instance is goes down compared with 100% down time if the X instance is down. Of course, this approach is subject to the design and usage of application. 4. Decide on other usage parameters e.g. network type, network bandwidth, operating system image, and etc. accordingly. Conclusion: Since this is a demo deployment without any real production usage, we’ll go for the lowest (cheapest) ECS instance configuration. For e.g. : General Type n1: 1-core, 1GB, Ubuntu 16.04 OS, Ultra Cloud Disk 40GB, and 1Mbps network bandwidth. 1. Do you have available resources for managing and operating DB instances? The management and operational tasks may include backing up data files, OS/DB patching, access control on host machine, and etc. If the answer is no, then maybe a fully managed RDS DB is preferable. 2. Do you need a dedicate DB instance? If you DB is small/workload is minimal and able to co-exist with application (e.g. at development environment), perhaps the self-managed variant is preferable due to cost efficiency. 3. Do you need access to underlying host for DB instance? For example, if you need to perform specific OS /DB configuration for performance tuning purposes, then self-managed variant shall be employed. 4. Does the fully managed DB services provide the DB type that you required? If no, then the answer is straightforward, go for self-managed DB variant. 5. If you have concern on possible cloud vendor lock-in, then you might want to avoid the fully managed variant as some RDS implementation could be cloud vendor specific. Eventually, there could be multiple concurrent WordPress applications running on physically separated ECS instances. Each instance might generate and store certain files/image/media resulting from users’ operations. Obviously, objects that are generated by any instance would have to be sync across all other running application instances. One of the approaches to achieve mentioned synchronization is through centralized storage. Objects generated shall be sync to centralized storage and following by synchronization between centralized object and other running instance. Additionally, the centralized storage must be always available and any failure of any instance shouldn’t impact the availability and durability of centralized storage. 1. Object Storage Service for objects – It’s ideal as centralized object storage due to the guaranteed high availability (99.9%), scalability, and fully managed nature. Specifically to this demo deployment, each running WordPress instance shall sync with a dedicated common Object Storage Service’s bucket. By employed such syncing mechanism, all the running WordPress would having identical set of created object. 2. ApsaraDB Redis for application state – Share state (e.g. shared value, parameter) among running instance is possible to be shared across via fully managed ApsaraDB Redis. Conclusion: A dedicated bucket in Object Storage Service would be created and used to store object created resulted of users’ operation. All running WordPress shall sync with the mentioned bucket for the list of created object. To achieve HA, FT, and HSF in Alibaba Cloud, a web application shall be fundamentally designed as stateless and horizontally scalable. Any dependent application’s state or data shall be decoupled from web application and be migrated to a centralized storage as discussed in the earlier section. 1. Cloud DNS – It’s possible to configure ‘A’ record type for instances hosting in different regions. It’s really useful during failover scenario whereby an ‘A’ record of a standby instance could be enabled (make active) with one click and resulting network traffic diversion to the standby instance. 2. Auto Scaling – It can be used to auto spawn instance in a desired Zone when exiting running instance are goes down/became unhealthy. 3. Server Load Balancer – This service would provide health check on configured instances and report such status to Auto Scaling service for further action. Besides that, this service would also load balance workload among running instances. 4. ApsaraDB RDS – RDS MySQL provides the multi zone availability feature with just a click. It’s really ease the effort to provide HA and FT for DB. Conclusion: The demo deployment would utilizing DNS to route traffic to WordPress instances, Auto Scaling to ensure minimum 2 running instances in each region, and Server Load Balancer to provide health check as well as to load balance workload. Last but not least, the Multi-Zone availability feature on RDS MySQL are enabled to provide HA and FT for DB. 1. Auto scale out/in according instance’s workload. For example, spawn a new instance when CPU/ memory exceeds certain threshold over a defined period. 2. Utilize CDN to cache and distribute content to minimize geographical latency and reduce the traffic to application instance. In addition, CDN would also acts as defend layer for DDoS attack to application instances. 3. Offload database ‘read’ workload by creating read replica. 4. Plan a Disaster Recovery Region and create failover strategy. 5. Setup cloud monitoring, enable alert, and turn on detailed log at least for critical metrics and incidents such as instance failure, disk space full, auto scaling triggered, and etc. 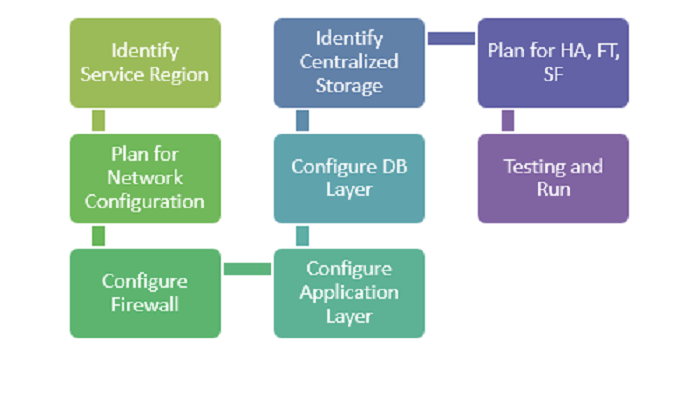 Following sample configuration steps are based on the outcome discussed in “Deployment Procedures” section. You would need an Alibaba Cloud account to run the following configuration. If you yet to have one, you may register (with USD300 free credit at the time of this writing) with this link. 2.Create “VPC”. Go to “Product” and click on “Virtual Private Cloud” under “Networking”. Select region as “Asia Pacific SE 1”. Once landed at VPC overview page, click at “VPC” on side tab follows by click on “Create VPC” button. 3.Create “subnet”. One subnet for WordPress instance and one subnet for RDS. 4.Create “Security Group”. Go to “Product” and click on “Elastic Computing Service”. Once landed at ECS overview page, click at “Security Group” on side tab follow by click on “Create Security Group” button. 6.Create “Key Pair”. Go to “Product” and click on “Elastic Computing Service”. Once landed at ECS overview page, click at “Key Pairs” on side tab follows by click on “Create key Pair” button. 7.Create ECS instance for WordPress installation. Go to “Product” and click on “Elastic Computing Service”. Once landed at ECS overview page, click at “Instances” on side tab follows by click on “Create Instance” button. • Security Setting: Attach Key Pair, select the generated key-pair from Step 6 (ECS-Lab). 8.SSH to the purchased ECS instance with the key pair generated at Step 6. Refer to this link on how to SSH to the ECS instance. Go to “Product” and click on “Elastic Computing Service”. Once landed at ECS overview page, click at “Instances” on side tab. The internet IP address at “IP Address” column. SSH into the ECS instance, run following commands to install the necessary software and packages for WordPress. Please ensure all commands are executed successfully. 9.Create ApsaraDB RDS – MySQL. Go to “Product” and click on “ApsaraDB for RDS”. Once landed at RDS page, click at “Create Instances. 10.Configure RDS instance. Go to “Product” and click on “ApsaraDB for RDS” (It might take a while before the purchased “RDS” appears at the page). Once the purchased RDS is up and running, click on “Manage” on the RDS. 11.Browse to ECS internet IP (created at Step 7) using internet browser. 11.1 Fill in the MySQL connection detail such as “Database Name”, “Username”, “Password” as defined in Step 10. The “Database Host” is the “Intranet Address” of the created RDS instance at Step 9. You may get the intranet address by go to Alibaba Cloud console at “Product” and click on “ApsaraDB for RDS”. Once landed at RDS page, click on the created RDS instance, and copy the “Intranet Address” value. 12.Click on the “Run on Installation” and continue the WordPress configuration till completion. Hooray, by now, your first WordPress instance should be installed and running at Alibaba Cloud! 13.The folder used by WordPress to store user uploaded object should be sync to centralized storage. 14.Create an OSS bucket. Go to “Product” and click on “Object Storage Service” under “Storage & CDN”. Once you landed at the Object Storage page, click on “Create Bucket” on the RDS. 15.Grant access to the bucket created at Step 14. Go to “Product” and click on “Resource Access Management” under “Monitor and Management”. Once you landed at the RAM page, click on “User” and follows by click on “Create User”. 16.Authorize created user with OSS access. Go to “Product” and click on “Resource Access Management” under “Monitor and Management”. Once you landed at the RAM page, click on the “Authorize” of the newly create user. 17.Generate “User Access Key”. Go to “Product” and click on “Resource Access Management” under “Monitor and Management”. Once you landed at the RAM page, click on the “Manage” of the newly create user. 18.Install “ossfs” tool. This tool would be used to sync WordPress’ dependent folder with OSS bucket created at Step 14. 18.4 Setup credential with the bucket name and key created at Step 14 & 17 accordingly. 19.Create Load balancer. At ECS overview page, click at “Load Balancer” on side tab. Once Load Balancer page loaded, click on “Create Server Load Balancer”. 20.Configure load balancer. At ECS overview page, click at “Load Balancer” on side tab. Once Load Balancer page loaded, click “Manage” on the purchased load balancer at Step 19. 20.1 Click “Listener” then click “Add Listener” button. 20.2 Click “Next” to configure health check. 20.3 Update the Load Balancer internet IP address at WordPress. This is important as the running WordPress instance from Step 11 has been auto configured with the running ECS IP. We need to change the IP to point to Load Balancer’s IP as WordPress might be running by any ECS instance behind load balancer. If you have Domain Name, you might want to update to the Domain Name instead. • Browse to WordPress using browser. Go to the “Setting” url e.g. “http://<ECS Internet IP>/wp-admin/options-general.php” then change the “WordPress Address (URL)” & “Site Address (URL)” to Load Balancer’s internet IP accordingly. 21.Stop ECS instance. Go to “Product” and click on “Elastic Computing Service”. Once landed at ECS overview page, click at “Instances” on side tab and follows by click on “More” then “Stop”. 23.Restart ECS once the ‘custom image’ creation at Step 22 has completed (You may check the creation status at “Snapshot” section). Go to “Product” and click on “Elastic Computing Service”. Once landed at ECS overview page, click at “Instances” on side tab and follows by click on “More” then “Start”. 24.Once ECS is up and running, create Auto Scaling Group. Go to “Product” and click on “Auto Scaling” under “Elastic Computing”. Once landed at “Auto Scaling” page, click on “Create Scaling Group”. 25.Create “Scaling Configuration”. Click on “Create Scaling Configuration”. • Source ECS: Select the one get restarted at Step 23. 26.Retrieve Load Balancer Public IP. Go to “Product” and click on “Elastic Computing Service”. Once landed at ECS overview page, click at “Load Balancer” on side tab. The Public IP is under “IP Address” column. 27.The health check carry by Load Balancer might take a while to complete. You may visit the WordPress application by using Load Balancer’s public IP once the Load Balance status shown “normal”. 28.Congratulation, you’re now successfully deployed a high availability, fault tolerance, and load balance WordPress server in single region! 29.If you would like to buy a domain name, go to “Domain” under “Domain & Websites” and proceed for purchasing.